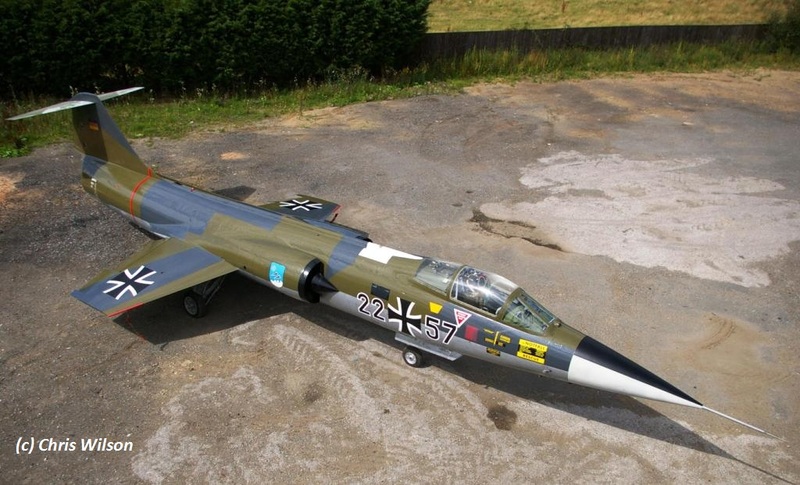 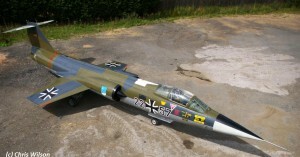 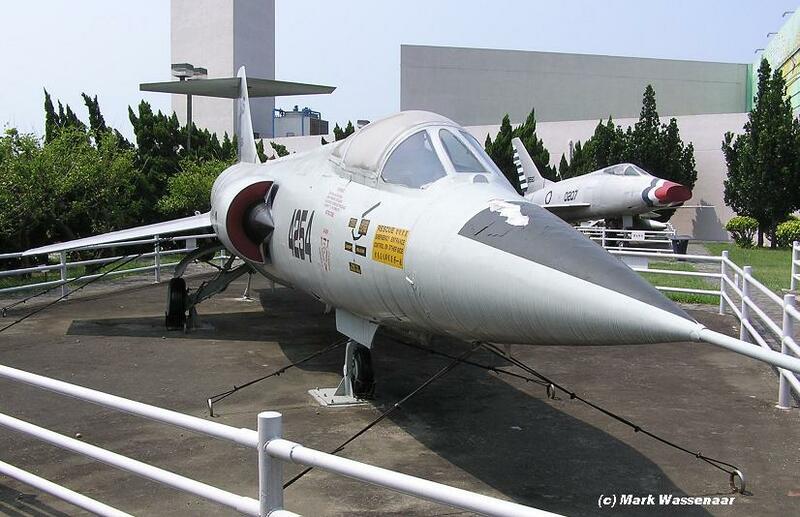 F-104G (c/n 7138) 22+57, German Air Force, preserved since early 2013 on an unknown location in Taiwan. 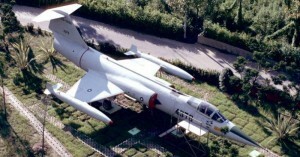 It was bought from a private collector in the UK, Europe. Photo shows the aircraft in the UK late 2012. 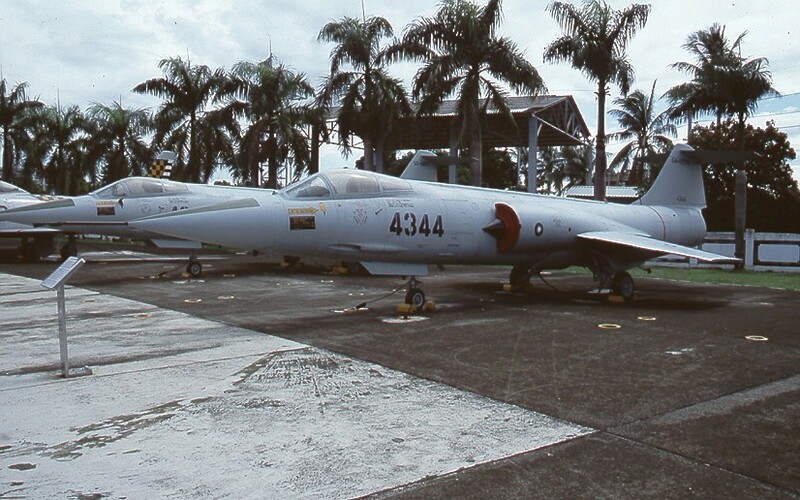 TF-104G (c/n 5506) 61-3030 “4147”, ex 28TFS, Taiwanese Air Force, as “61-12236”, CCK AFB on a pole since January 2009 at the gate (left side) wearing markings of 427th TFW. 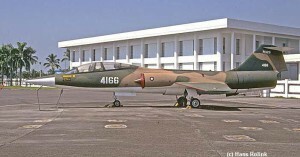 F-104D (c/n 5038) 57-1326 “4166”, Taiwanese Air Force, Air Force Museum, Kangshan AFB. TF-104G (c/n 5744) 61-3073 “4171”, ex 11AG, Taiwanese Air Force, gateguard Hsinchu AFB. 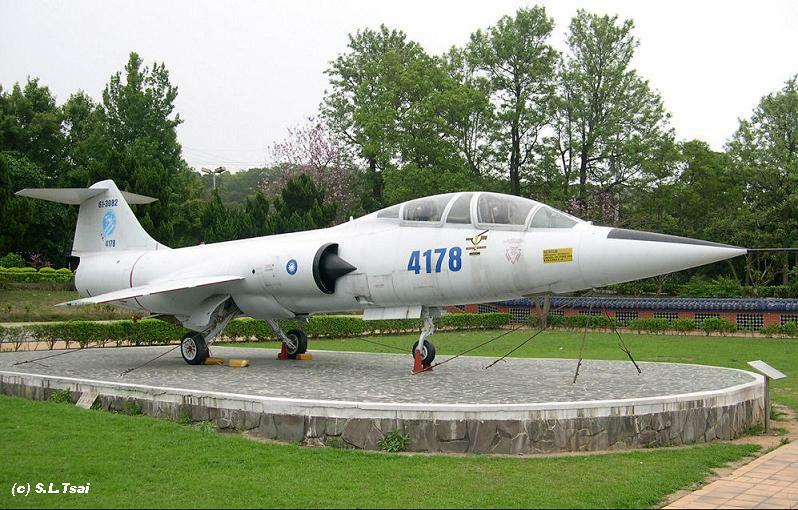 TF-104G (c/n 5751) 61-3080 “4177”, Taiwanese Air Force, ROC Air Force Institute of Technology, near the ROC Air Force Museum, Kangshang AFB. 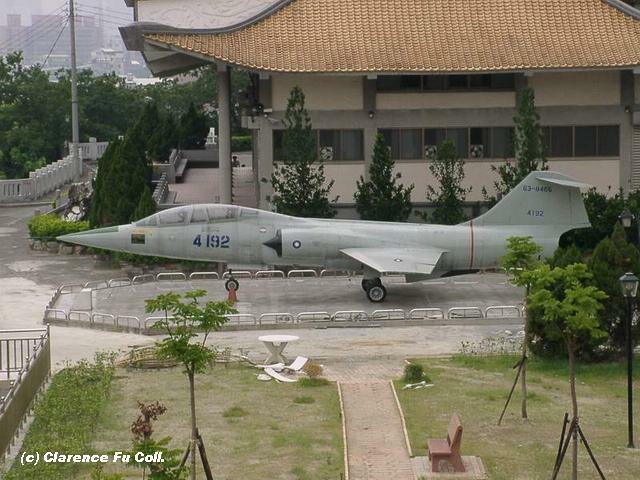 TF-104G (c/n 5753) 61-3082 “4178”, ex 11AG, Taiwanese Air Force, Military Cemetry, Tachia-Taichung. 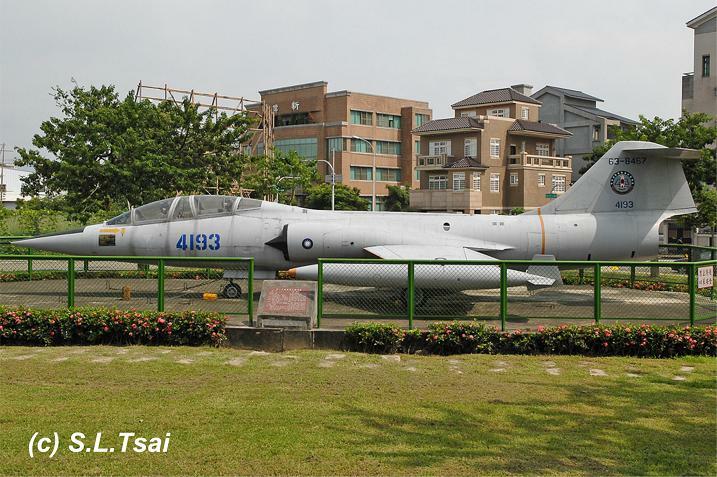 TF-104G (c/n 5754) 61-3083 “4179”, ex 11AG, Taiwanese Air Force, Military Cemetry, Tai Tung. 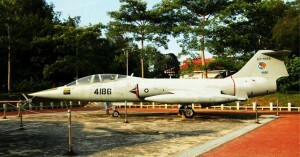 TF-104G (c/n 5758) 63-8454 “4182”, ex 12TRS, Taiwanese Air Force, Military Cemetry, Kaosiung. 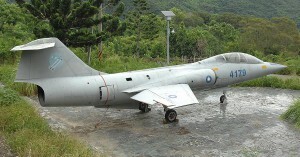 TF-104G (c/n 5762) 63-8458 “4186”, ex 12TRS, Taiwanese Air Force, preserved on Jin Men Island at the Chiang Ching Kuo Memorial Hall. 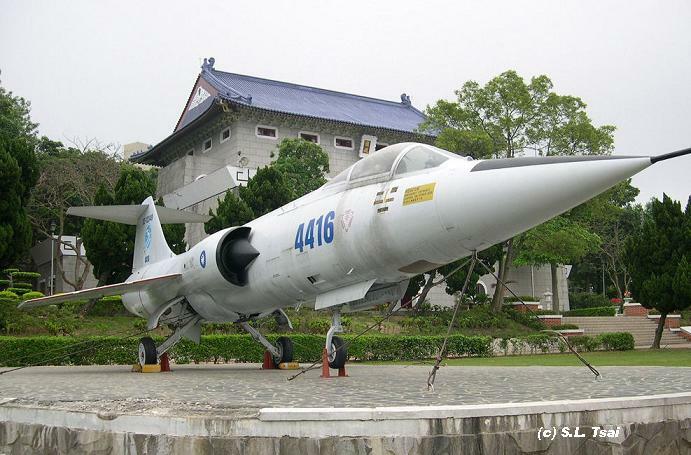 TF-104G (c/n 5771) 63-8465 “4192”, Taiwanese Air Force, Preserved at the New Tai Pei City Military Shrine, Shu Lin District, New Tai Pei City, Taiwan. 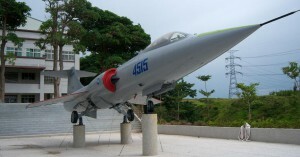 TF-104G (c/n 5775) 63-8467 “4193”, ex 48TFS, Taiwanese Air Force, 823rd Campaign Memorial Park, Taichung since February 2001. 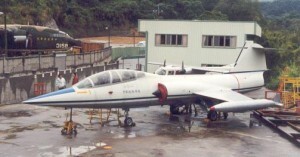 TF-104G (c/n 5933) 66-13622 “4195”, Taiwanese Air Force, Chunghua Techn. 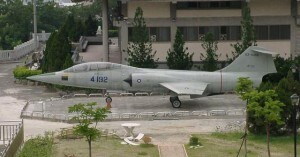 College, Henshan-Hsinchu in special colorscheme. 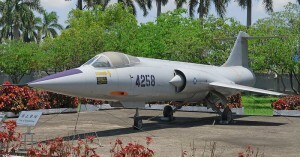 Soem believe it is still used as instructional airframe, others believe it can be declared preserved in between. 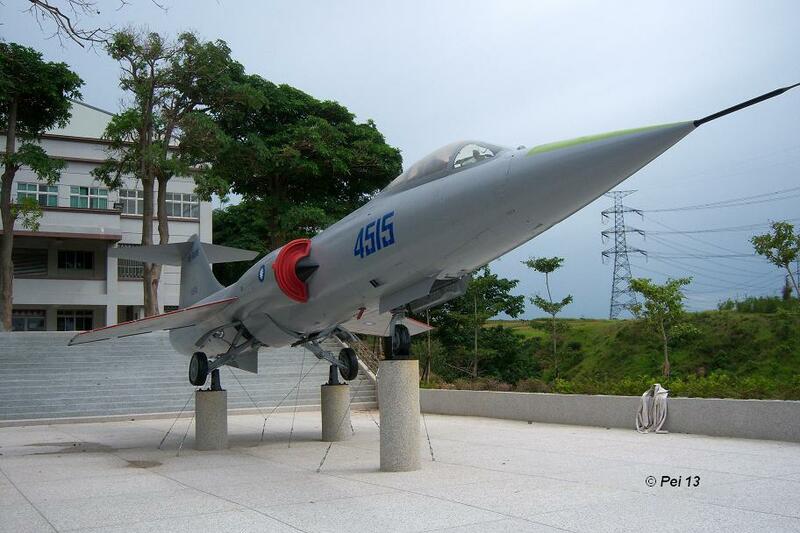 TF-104G (c/n 5936) 66-13625 “4196”, ex 12TRS, Taiwanese Air Force, Conscription Park, Keelung. 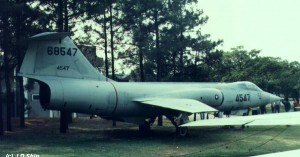 Currently it is not carrying a serial anymore, only the 12TRS badge on its tail. 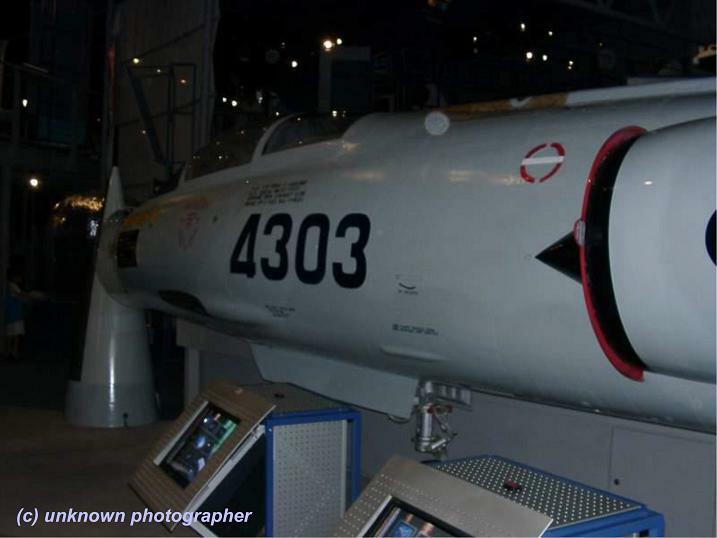 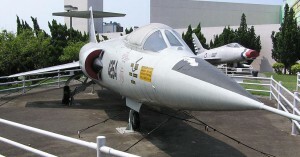 F-104A (c/n 1111) 56-823 “4241”, ex 8TFS, Taiwan Air Force, Air Force Museum, Kangshan AFB. 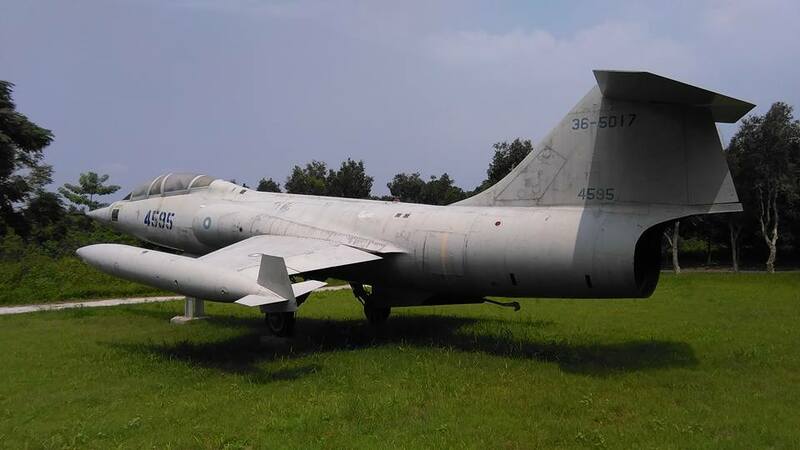 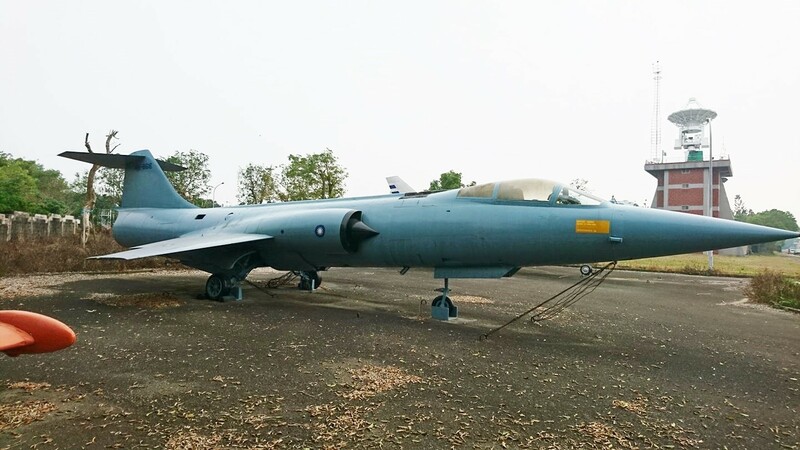 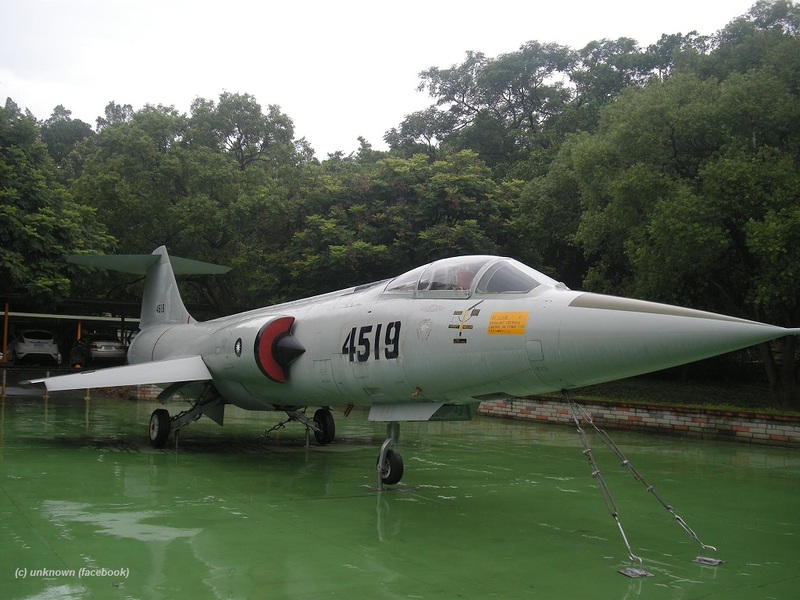 F-104A (c/n 1134) 56-846 “4254”, Taiwanese Air Force, have been preserved at the Aviation Museum, near the Tao Yuan IAP (previously Taipei Chiang Kai Shek IAP), Tao Yuan County till it closed in 2015. 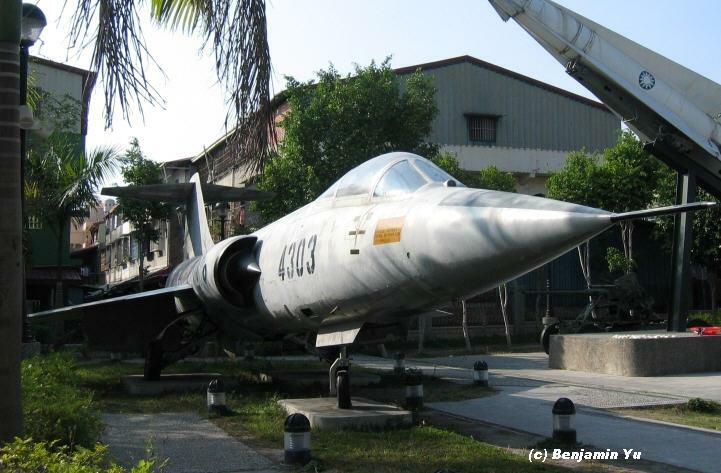 On 1 March 2015 it has been brought over to Tao Yuan airbase area and put in storage with all the other aircraft awaiting its future. 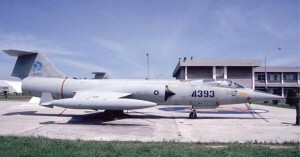 F-104A (c/n 1153) 56-865 “4255”, ex 2TFW, Taiwanese Air Force, Hsinchu AFB. 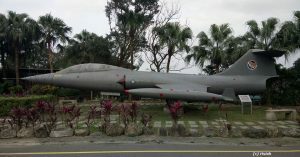 Currently in Vietnam color scheme. 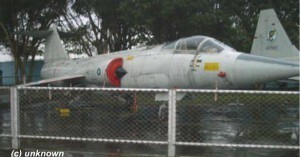 F-104A (c/n 1164) 56-876 “4258”, Taiwanese Air Force, preserved at the Chung Cheng Preperation school (High School) in Fengshan – Kaosiung County. 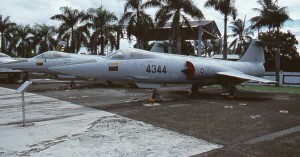 F-104G (c/n 4054) 62-12250 “4301”, ex 7TFS, Taiwanese Air Force, CCK AFB. Preserved on a pole since January 2009 with 7th TFS badges. 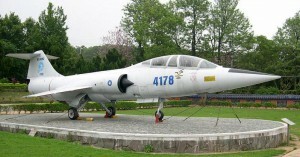 F-104G (c/n 6115) 64-17770 “4344”, Taiwanese Air Force, inside Kangshan Chinese Air Force Museum and repainted in 60s light grey with big FG770 markings. 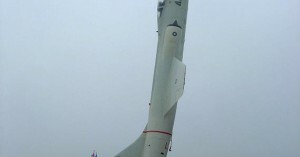 Video taken on the spot can be found here: http://www.youtube.com/watch?v=8HWxJgMcwR0 / Photo shows it when it was still outside in 90s color scheme. 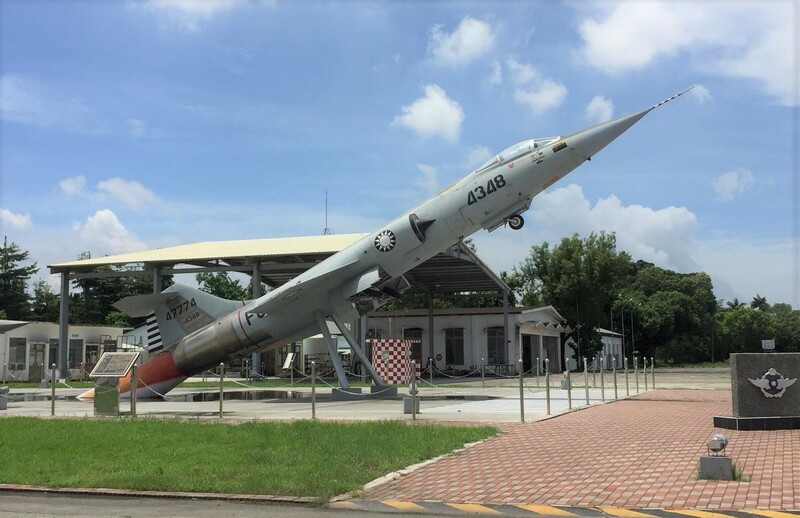 F-104G (c/n 6119) 64-17774 “4348” Taiwanese Air Force, in 60s colors preserved on a pole at Pingtung Air Base since 2016. 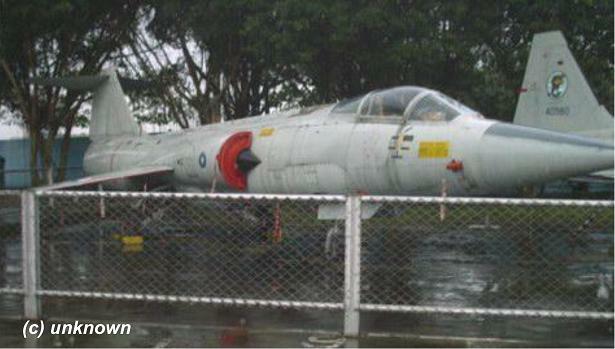 F-104G (c/n 2025) 63-13242 “4367”, Taiwanese Air Force, preserved near Vocational School in Chunghua-Hualien without wearing any markings. 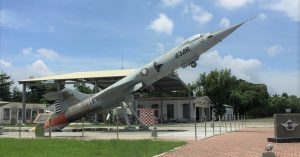 Some believe it might be still used as instructional but it shows signs that it is standing there for a long time already, just being preserved. 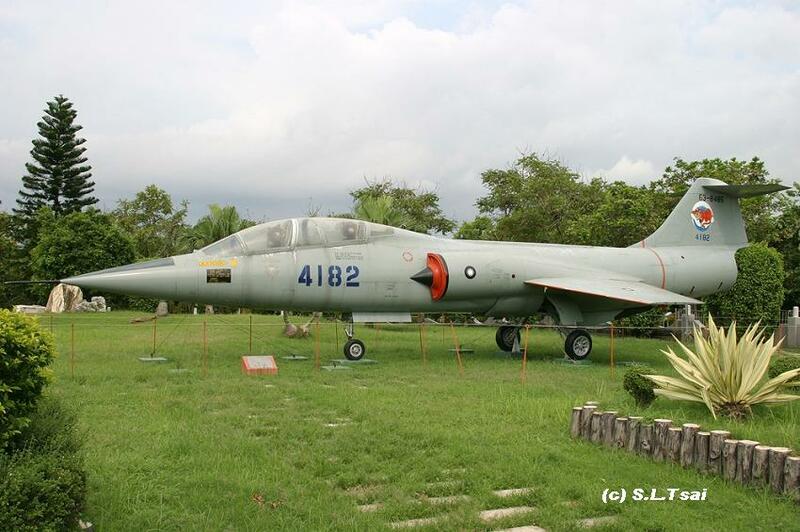 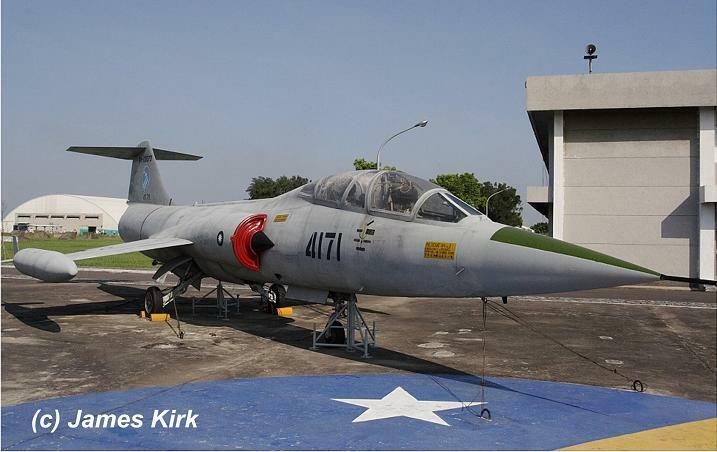 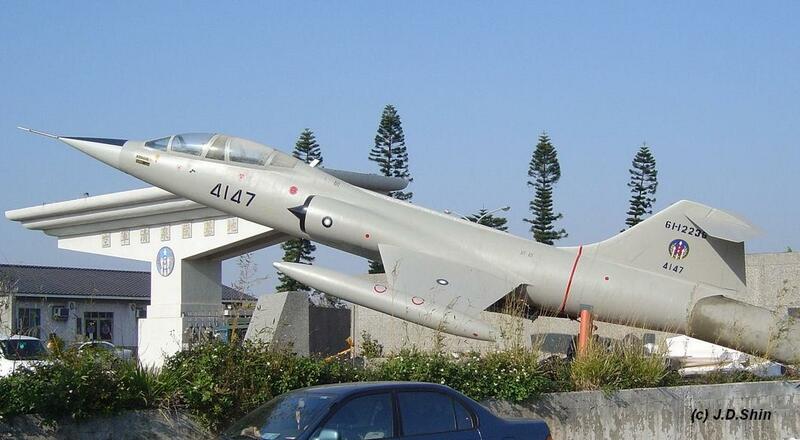 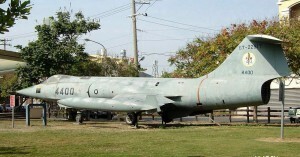 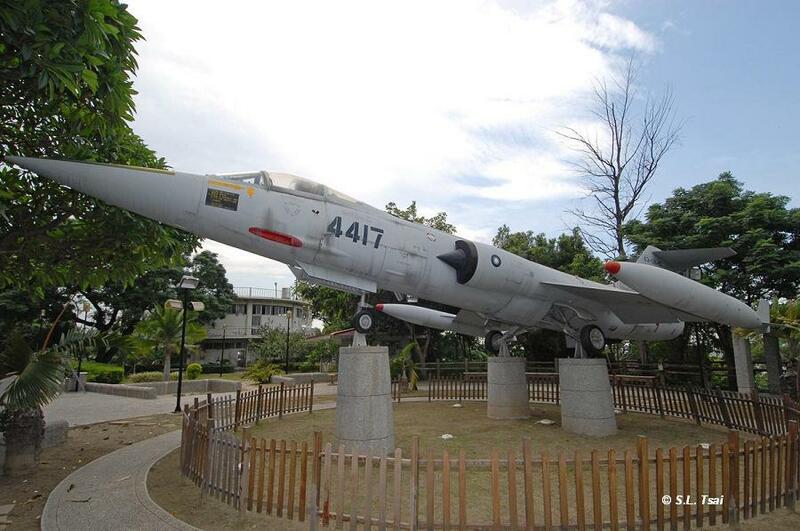 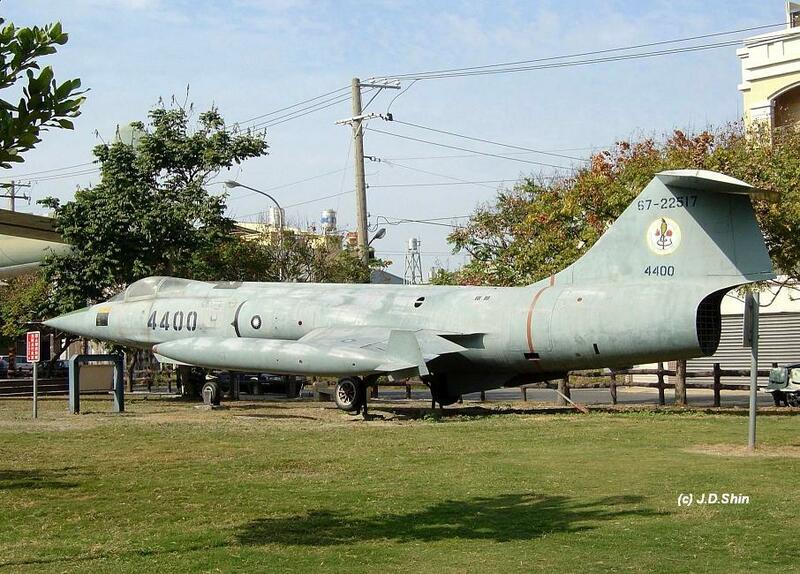 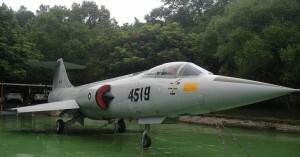 F-104G (c/n 2033) 63-13249 “4371”, Taiwanese Air Force, preserved inside Sha Lu Town Park, Sha Lu Town, Tai Chung County with 11AG markings. 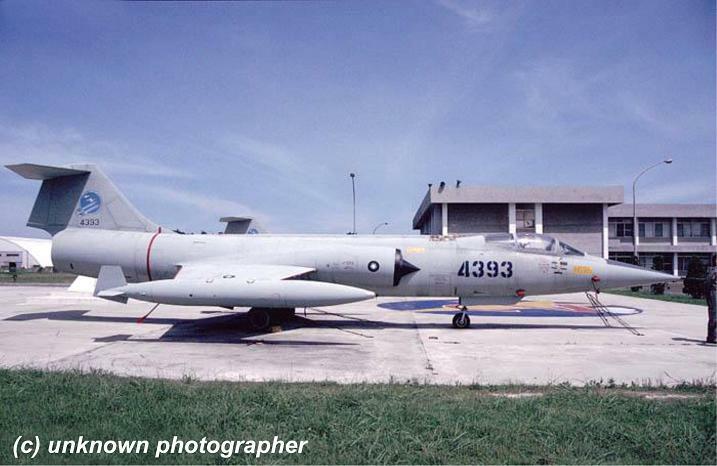 RF-104G (c/n 2038) 63-13254 “4375”, Taiwanese Air Force, preserved at Hua Lien AFB with 12 SMsq markings. 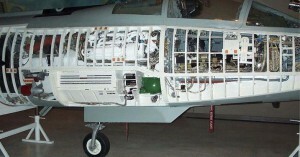 Note the typical RF bubble behind nosewheel. 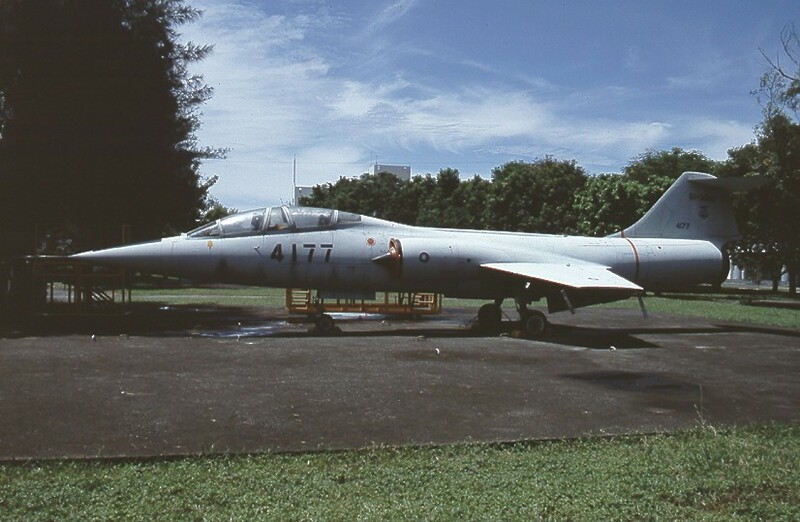 F-104G (c/n 2076) 63-13260 “4378”, Taiwanese Air Force, preserved at the Kao Yuan Institute of Technology at Luchu-Kaohsiung without squadron markings. 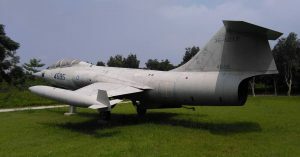 F-104G (c/n 2093) 63-13265 “4381”, Taiwanese Air Force, preserved at the military cemetery at Suao City, Yilan County with 11AG markings. 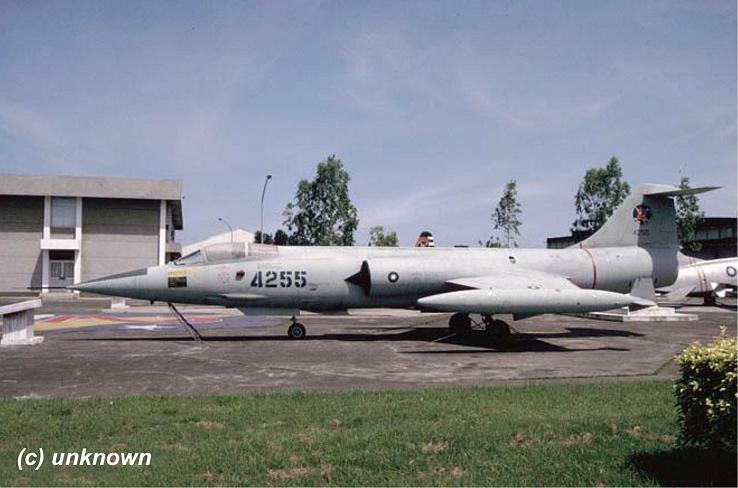 F-104G (c/n 8071) 65-12753 “4393”, Taiwanese Air Force, gateguard at Hsinchu AFB with 11AG markings. 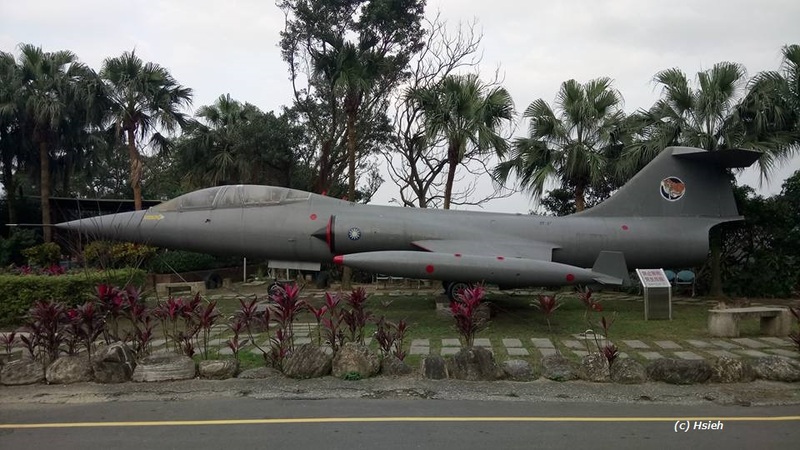 F-104G (c/n 8204) 67-14890 “4398”, Taiwanese Air Force, preserved in Kang Lee Park, Hsinchu-city, formerly named Gong Er Ba Park (Children Park) with 12SMsq markings. 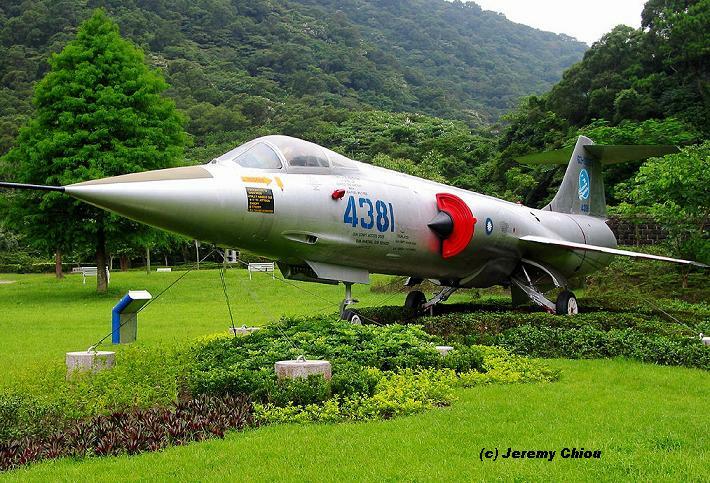 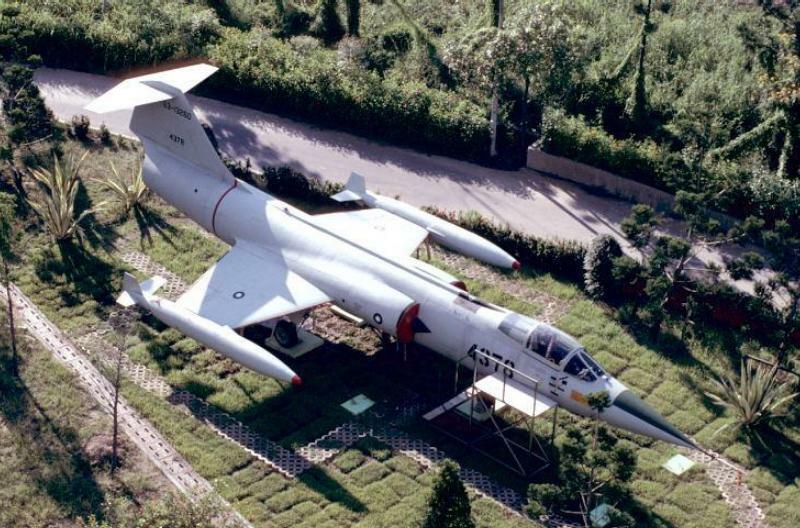 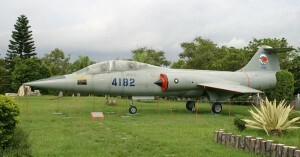 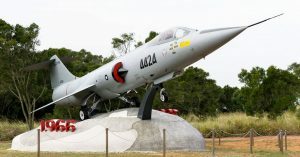 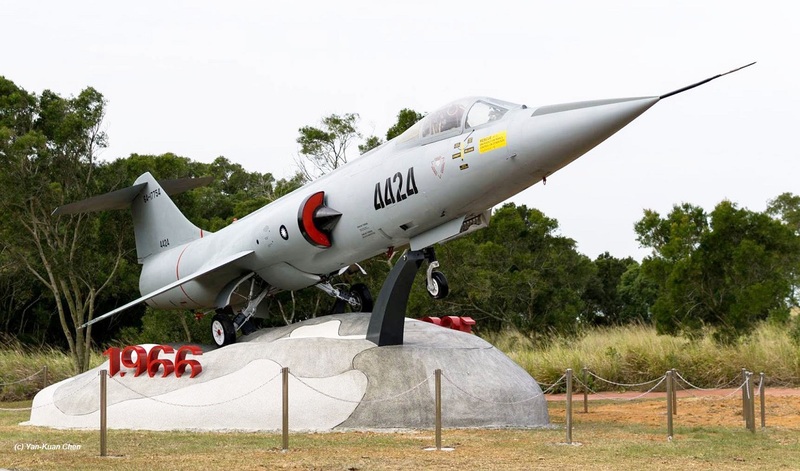 F-104G (c/n 8230) 67-22517 “4400”, Taiwanese Air Force, preserved inside a park in Hsihu, Changhua, Yunlin County wearing 42 TFS markings. 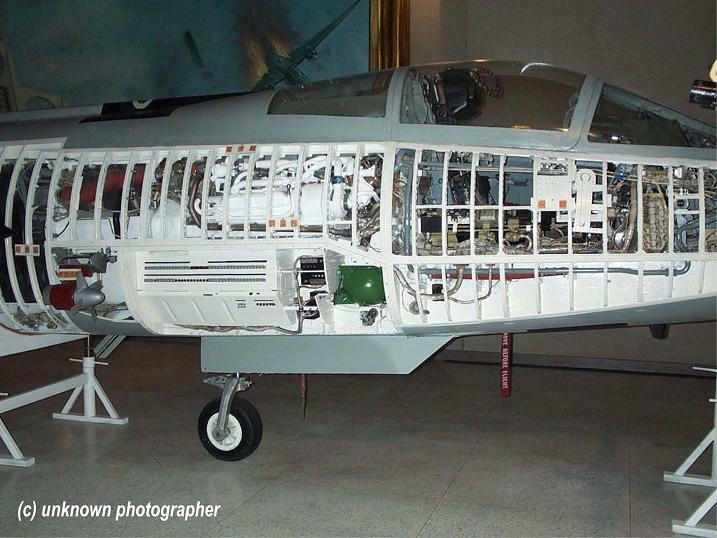 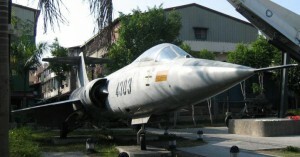 F-104G (c/n 6044) 62-12345 “4413”, Taiwanese Air Force, Kangshan Chinese Air Force Museum with body skin removed. 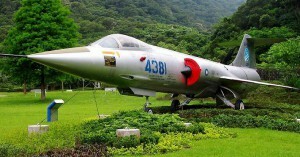 F-104G (c/n 6048) 62-12349 “4416”, Taiwanese Air Force, Military cemetry at Tachia-Taichung. 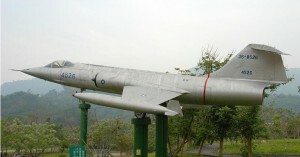 F-104G (c/n 6094) 63-13645 “4417”, Taiwanese Air Force, preserved on a pole at the Bagua Mountain Park, Changhua, at the scenic area. 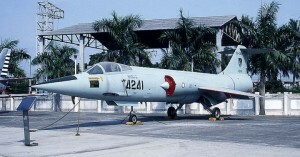 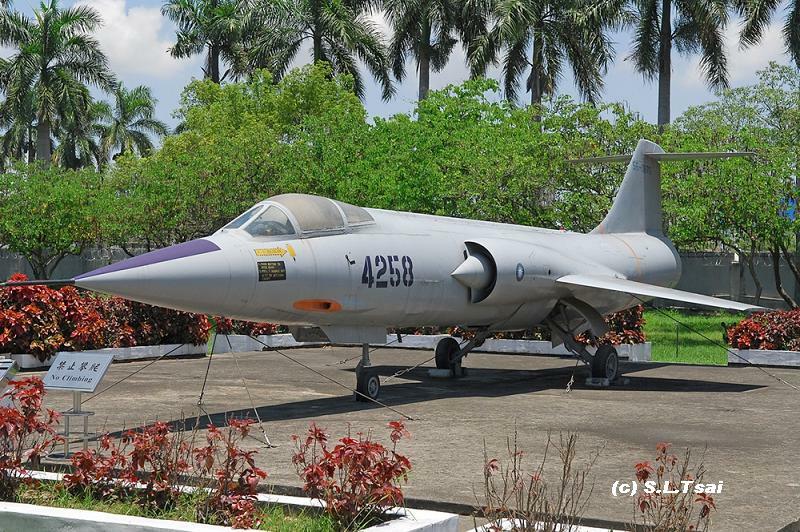 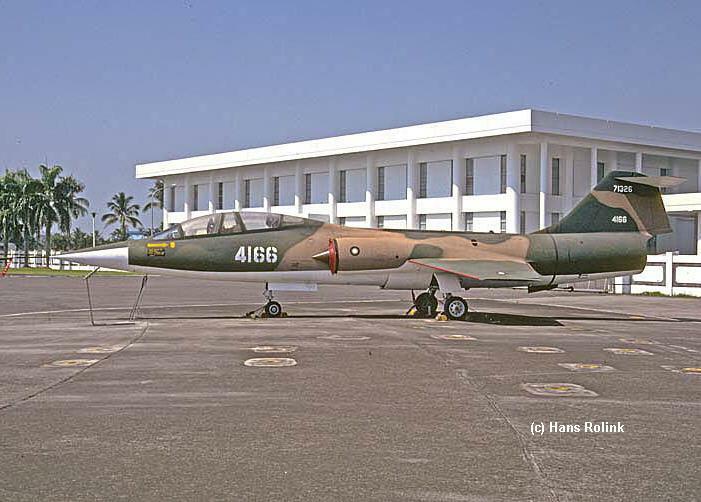 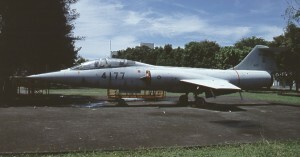 F-104G (c/n 6099) 64-17754 “4424”, preserved at the premises of the Hsin Shin Vocational School in Taouan. 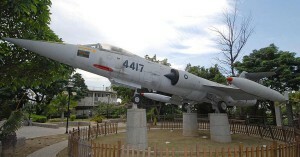 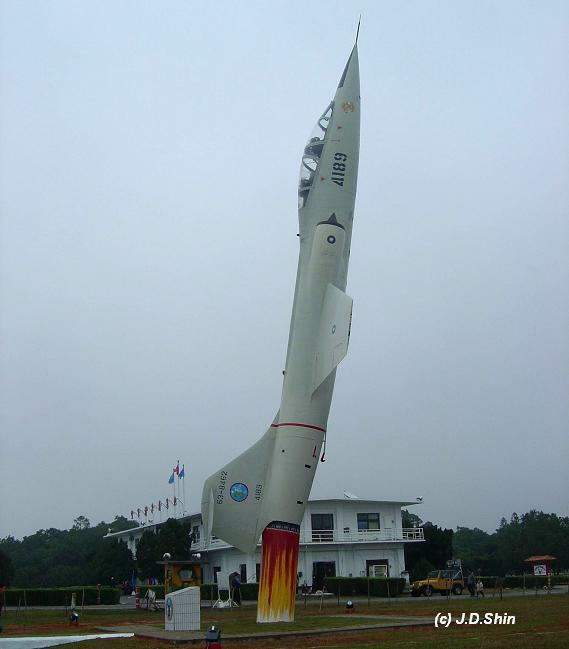 It was formerly used as instructional airframe but nowadays put outside as monument and recently refurbished with serial. 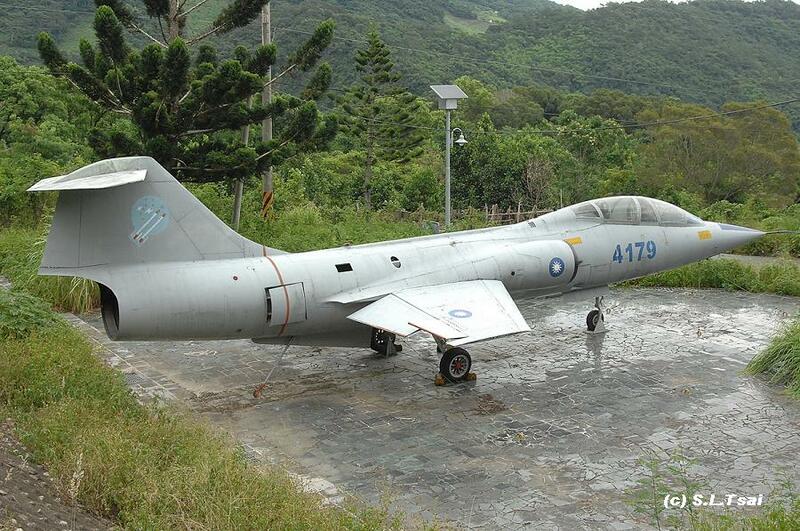 F-104J (c/n 3065) 36-8565 “4506” as fake F-104G 62-12252 “4303”, Taiwanese Air Force, Military History Park, Ji Ji Town, Nan Tou County. 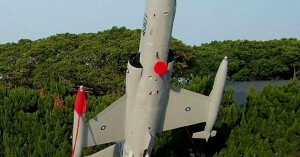 It was repainted in 2014 and in 2017 they applied the correct serial “4506”. 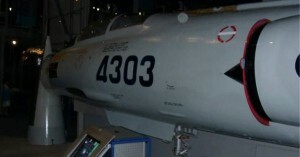 Photo shows it still as “4303”. 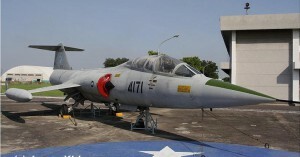 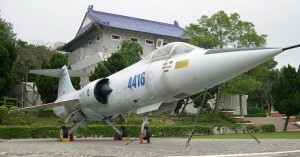 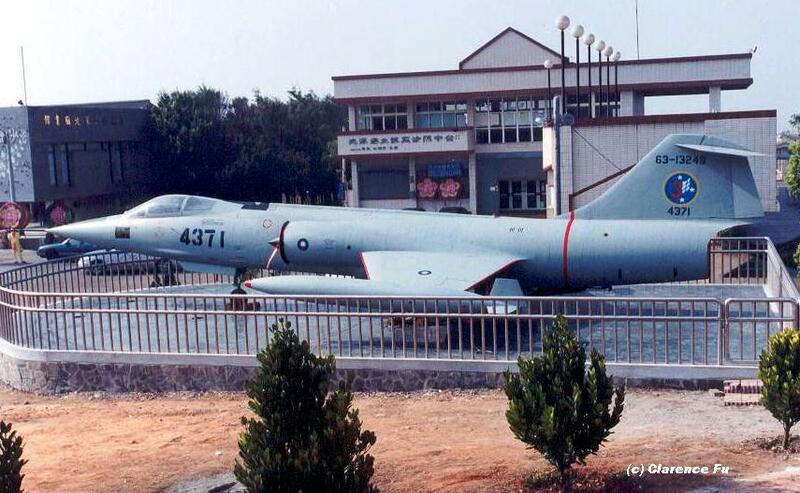 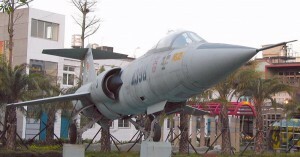 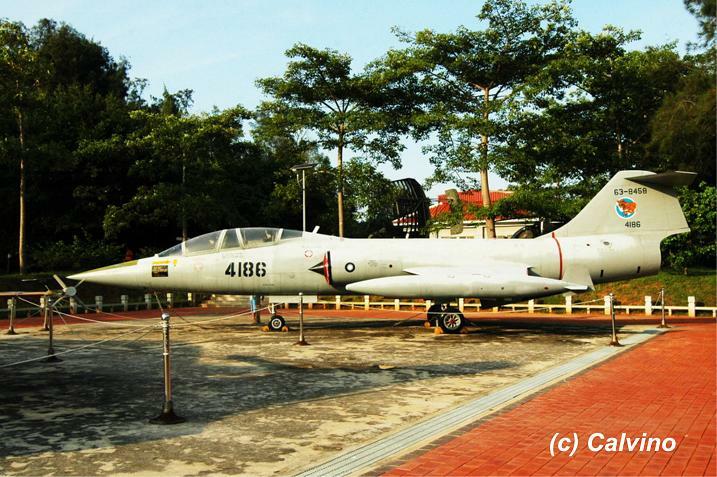 F-104J (c/n 3116) 46-8616 “4514”, Taiwanese Air Force, preserved outside within the premises of the National Cheng Kung University, Kuei Jen Campus, Guei Ren Town. 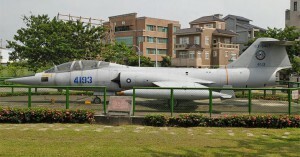 F-104J (c/n 3118) 46-8618 “4515”, Taiwanese Air Force, preserved at the Chia Yang Senior High School, Ching Shui Town, Tai Chung County. 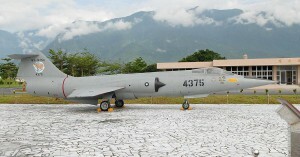 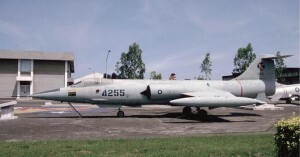 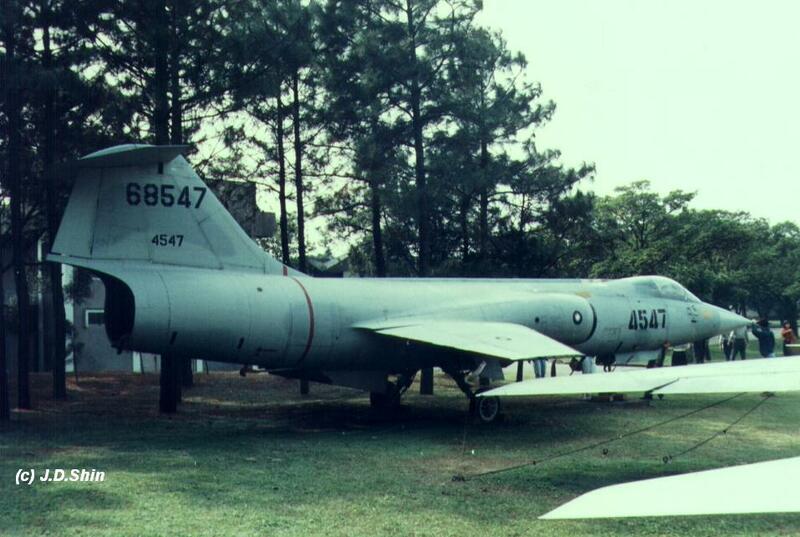 F-104J (c/n 3145) 46-8645, 4519, Taiwanese Air Force, Preserved at the Wurih Army Barracks, Cheng Gong Ling, Tai Chung County. 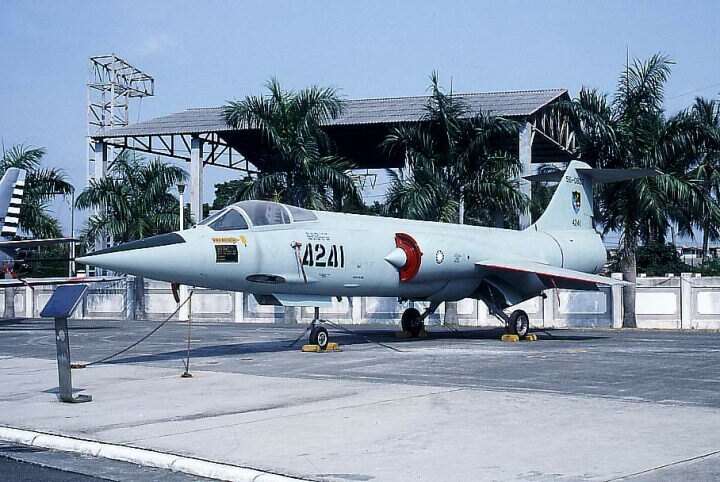 (Till end 2014 the aircraft carried wrong serial “4522” which was corrected early 2015. 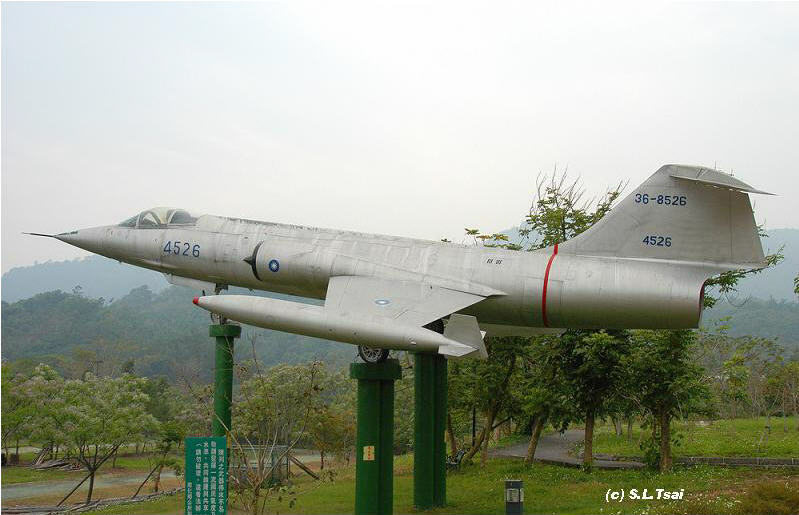 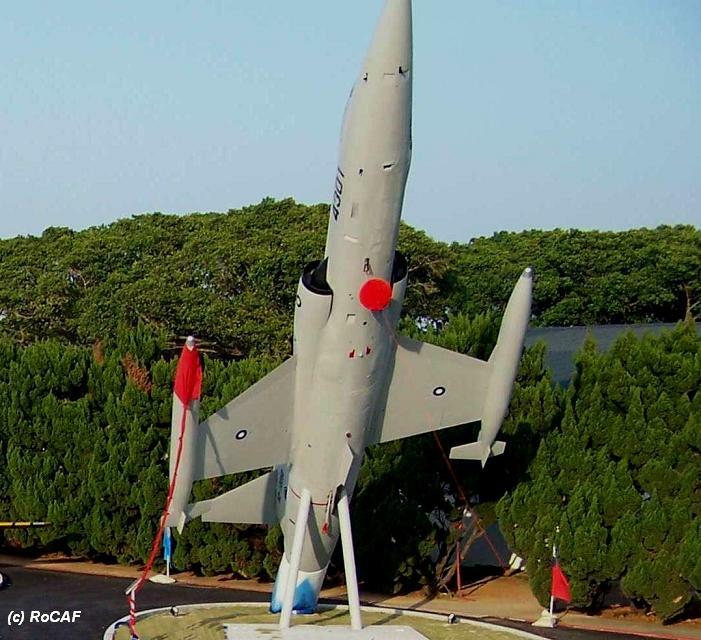 F-104J (c/n 3026) 36-8526 “4526”, Taiwanese Air Force, next to the Nan Hua Reservoir theme park at Nan Hua Town, Tai Nan County. 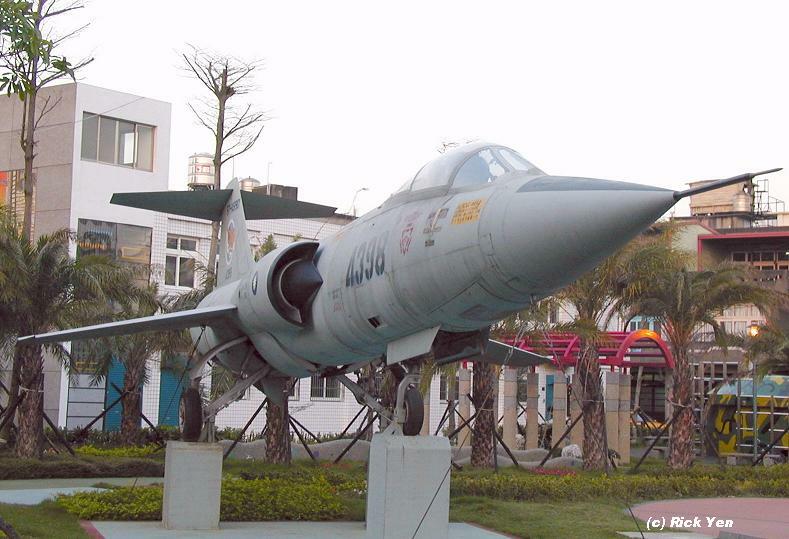 F-104J (c/n 3047) 36-8547 “4547”, Taiwanese Air Force, preserved at the National Defense University Chung Cheng Institute of Technology (CCIT) at Daxi Township, Taoyuan County. 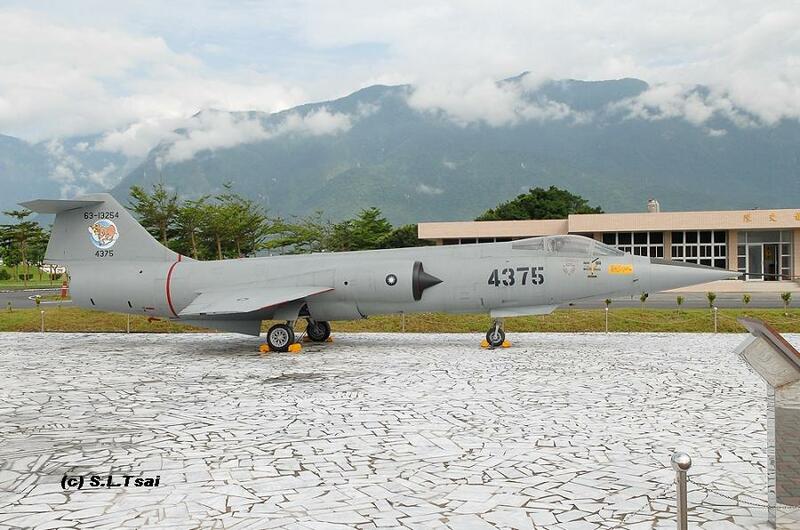 This F-104DJ (36-5017) was moved from Shueli-Nantou to Yunlin in January 2017 and now preserved there without squadron markings. 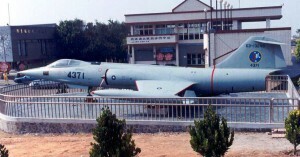 Photo thanks to “Play Lee”.